Chess looks like a fun game, but are you afraid of where to start? Do you end up missing out on all the benefits that a healthy game of Chess can provide? 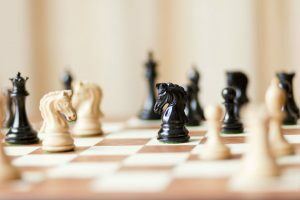 Well, this beginning chess guide will help you get started on this wonderful game. 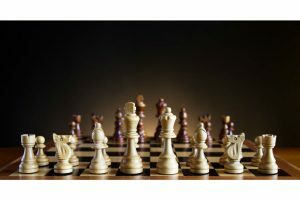 Most countries believe they are the founders of the chess game. So we will not get drawn in to who the game of chess belongs to. When chess was first introduced to Europe, it became a game played by royals while in Persian Empire it belonged to the common people. 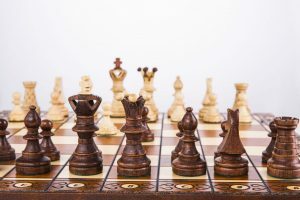 With time, chess has become more complex in that, more rules on the users have been increased, and also there has been an increase in some pieces. This game is really popular due to the challenge it poses. It requires one to think before taking a step for every step in the game is essential. One needs to study the flow of the game by observing the opponent step by step. It is intellectually stimulating as well as highly strategic. It can be useful to anyone who is looking to help develop the power of their brain. Setting up a chess board can appear a daunting task in the entire realm of board games. However, and in a few quick minutes, anyone can learn how to do it properly. This game is played on a square board made up of 8 rows of eight columns which give a total of 64 small squares. The squares are made up of different colors which alternate. The most popular colors used in a chess game is the black and white color which creates the checkerboard. When painting the small squares, ensure that a small box on the right-hand corner should be white. When this step is followed correctly, then the Queen will be positioned as required by the rules. The Queen will be placed on its color. 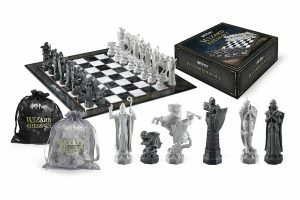 Chess set has a total of sixteen pieces given to a single player where half of the pieces are pawns. There are two Rooks, two Knights, two bishops, a queen and a king. These pieces have different ways of moving during game play. This gives the player a chance to use special movements to outdo the opponent. On the onset of the game, the players should choose the colors of their pieces and also ensure that all the pieces are available. Therefore, chess should have a total of thirty-two pieces. When the player has ensured that all the pieces are available, then the player arranges the pieces on the board. The row closest to the player is set in the following order: The two Rooks should be placed at the begining and the end of the row; the Rook is usually shaped as a Castle. On the next squares after the two rocks, you place a Knight. One is placed on the right side of the Rook with an empty square and another on the left side of Rook found the right side. Knights is shaped like the head of the horse. The next pieces after the Knights are the Bishops. They are placed on the empty squares found after Knights. Bishops are created in such a way that depicts the image of a clerical head wear. Bishops are the representations of clergy in the society. The King and the Queen take the remaining two squares where the Queen is placed on its color. The Queen and the King are the representation of some royal nature. Usually, they are created in such a way that they depict the royal crowns. On the next row after arranging the first row, you place all the Pawns. The pawns should come in a complete set which is eight in number. The main functionality of the pawns is that they offer protection to all other pieces during an attack. 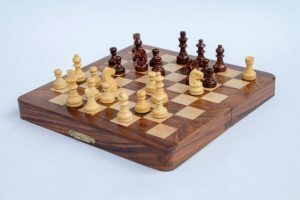 In comparison to other pieces, the pawns are much shorter than other pieces and therefore give a clear difference in the ranks of the pieces. When starting the game, the pawns are used. On the hand, Knights are exceptional for they are allowed to jump over all the other pieces. When you know the directions of each piece in the game, then you have an advantage over your opponent. Setting up the game is the foundation of mastering chess. The rules of a chess game are very essential. Therefore, when both players know the ground rules to ensure that the game is fairly played and engaged in. Due to the game being globally recognized standard rules have been set that brings uniformity across the globe. That is, if one player is from a different continent and another player is from another country, the rules will remain constant. Therefore, these rules bring uniformity across the globe. In the current version of chess, the first rule is that the chessboard should be made up of sixty-four squares. The board should have eight rows and eight columns which are equally divided. 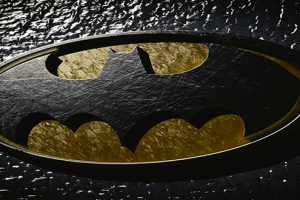 Secondly, the squares should alternate from dark to light colors. The most common colors used are black and white. The next rule is on the number of pieces. The total number of pieces in the chess game is thirty-two. Each player has a complete set of sixteen pieces. These pieces are made up of white and black colors. The player with the white pieces usually makes the first move which is known as “Smoke before the fire”. 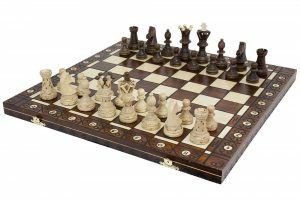 Read my guide on how to buy the best chess board for you. The next rule is on the moves made. Different pieces have different ways of moving. The pawns only move forward. But at the first step, the pawn moves only two squares after that it moves one step at a time. Also, they can capture any piece of the opponent diagonally which is a step ahead. The most important piece in chess is the King. At any instance, that the King is checkmated will mark the end of the game. The King is allowed to move at any directions but should not be within the checkmate position. It moves only one step in any given direction within the chess board. The most powerful piece in the chess game is the Queen. In case the Queen is lost, the game does not end. The Queen has capabilities to move in any direction as long as there is no other piece of the same color to obstruct it. Other important pieces in the chess are the Bishops. These pieces move diagonally. The rule to follow with this piece is that it should only follow the colors that are bounded on it. One of the Bishops is placed on the light square and follows only the white square diagonally. The other one is placed on the darker square, and it only follows the dark squares diagonally. During the movement of the Bishops, there should be no other piece of the same color to obstruct. If it is from the opposing opponent, you capture the piece. The Rook can move at any distance. But it only moves in four directions, the right, left, back and forwarded directions. The Rooks becomes powerful when used to protect each other. This is one very special piece. It has potentials to jump others. It moves two squares in one direction and moves at a 90-degree angle in the other direction, therefore, forming something shaped like an “L”. All the pieces should not be obstructed by the pieces of the same color. But when obstructed by the opposing opponents it should capture the opponent. This move involves the King and the Rook. It is a unique scenario for the two swaps the places. It is the only time where one is allowed to use both of the pieces at the same time. The two pieces move towards each and interchange their positions; the King moves to the position of the Rook, and the Rook takes the position of the King. The movement of the King should involve two squares for one to the castle. There should be no other pieces to obstruct the two when swapping and moving towards each other. The King should not be in check and also the position it is going to replace the Rook should not put the King in check. The last condition is that the King and Rook should not have moved before. If the two had moved and replaced back to the original position, castling is not allowed. When castled, the Rook takes an empty square next to the King. The pawns have no ranks and therefore becomes the weakest pieces in the game. But when properly utilized, they eventually become stronger. This is so when the pawn can move to the opposing end, and on reaching there, it is promoted to any piece of the player’s choice apart from the King. The pawn can be promoted to Knight, Bishop, Queen or Rook. Though, when you do not promote the pawn into a Queen, it is believed that you have under promoted the pawn. The first thing one should do is come up with a plan. 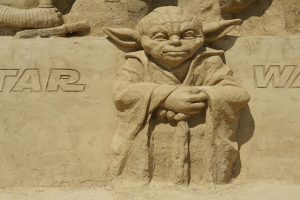 It is better to have any plan even if it is not the best. Respect every move made by the other player. Do not look down upon the move even if the player may have made a dumb move careful. This may be just away to capture you. On the onset of the game, try as much as possible to avoid moving the pieces twice. Try to diverse the other pieces to avoid being cornered by the opponent. Ensure that all your pieces are not placed on one side. The opponent will easily get a way through and be able to promote the pawns, and that will be a great disadvantage. The ranked pieces can easily maneuver on the board. Also, ensure that every step you make does not develop the piece of the opponent. 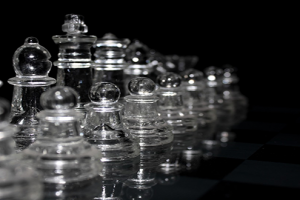 Ensure the opponent does not promote any of the pawns resulting from the step you made. Do not make any premature attacks. Try to study the game, see the consequences of the attack. Some players decide to sacrifice one of the pieces just to open up a bigger way of attacking you and therefore putting the King in check. Try as much as possible to restrict the pieces of the other player. The more you restrict the opponent, the more you take control of the game. Another strategy is looking for weaker squares before moving the pawn. This will help you avoid being attacked by your opponent. Development: The pieces such as Bishops and Knights should be placed on important squares which will result with minimal impact. King safety: Try as much as possible to keep the King safe at all time. Know when to castle to avoid being outdone by your opponent. Pawn structure: Ensure at all times your pawns are not isolated or doubled which may lead to pawn weakness. Used the pawns for protection. Try as much as possible to make your opponent to make such as errors and weaken the defense. Center control: Ensure you take charge of the center squares for it gives you a chance to move in any direction you want and may help you cause a crampy effect on your opponent. Tactics: Use any unique tactics you have. You can sacrifice one of your pawns to trap your opponent. Try as much as possible to avoid being your opponent trapping you via your tactics. Promotions: Try as much as possible to promote your pawns by entering the end of your opponent. The more your have ranked pieces, the higher chances of outdoing your opponent. It is a great advantage to have all your pawns promoted and ranked. Therefore, to be a master of chess you need to have a realm of knowledge on the setup and also on the way the pieces move. Be creative and think outside the box when playing chess. Try as much as possible and understand what your opponent is maybe thinking. How Many Pieces Are There in a Chess Set? What Size Chess Board Do I Need? What is a Chess Board? Some recommended products may use affiliate links. 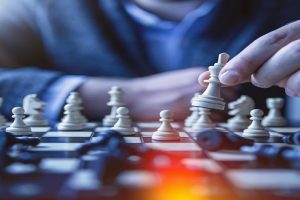 MrsCheckmate.com is a participant in the Amazon Services LLC Associates Program, an affiliate advertising program designed to provide a means for sites to earn advertising fees by advertising and linking to Amazon.com. Amazon and the Amazon logo are trademarks of Amazon.com, Inc or its affiliates.